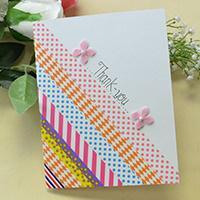 This DIY thank-you card is a perfect gift for Mother's Day. It's very easy to make this thank-you card. Just give it a try! 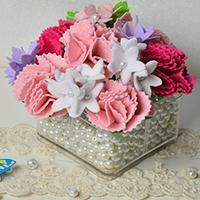 Wanna send carnation bouquet for your mom this Mother's Day? Try this DIY felt carnation bouquet. 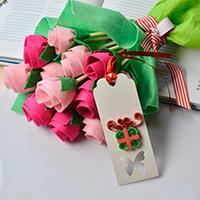 Follow me to see how to make this felt carnation flower bouquet. Are you seeking for easy DIY crafts for Mother's day? Here I want to share with you easy felt heart ornament as mother's day gift. Hope you enjoy it. Have you got some ideas for Mother’s Day gift? If not, look here! 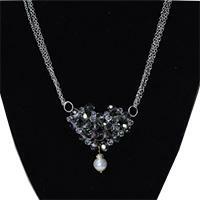 Today, I’ll share you a Pandahall tutorial on how to make chain necklace with glass beads heart pendant. 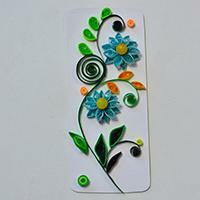 Love quilling cards? If yes, today’s Pandahall tutorial on how to make easy quilling flower cards really deserve your attention! Are you searching Mother’s Day gifts? If yes, look here! 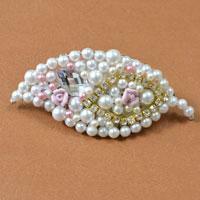 Today, I will share you a Pandahall tutorial on how to make leaf pearl beads hair clips for women! Wanna make some handmade paper greeting cards for the coming Mother's Day? 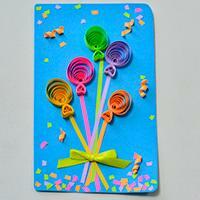 Maybe this handmade tree quilling paper greeting card can give you some inspirations. Hope you like it. Searing for wall decoration crafts for Mother's Day? 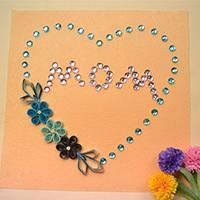 In this article, you can see a beautiful wall decoration craft for Mother's Day. It's an easy DIY project. You can also have a try. Are you searching for Mother’s Day jewelry? If yes, you could never miss today’s Pandahall tutorial on how to make red glass beads heart earrings for women! This DIY project – felt flower bouquet for Mother's Day may arouse your passion for crafting! 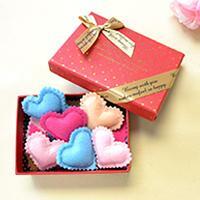 With colorful felt paper and ribbon, you can also make one. 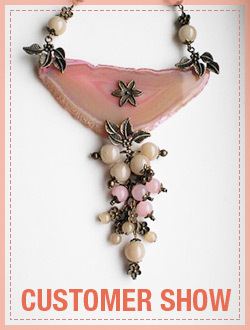 This is a detailed instruction on making a statement necklace for Mother's Day. 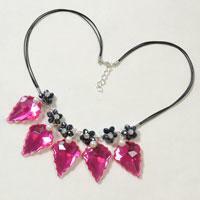 Come with me if you want to try this waxed cord necklace with black beaded flower and hot pink rhinestone drop. Mother's Day is on the way. 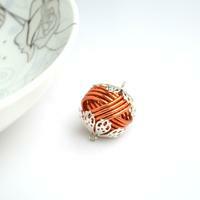 Do you want to make some jewelry craft as gift for mother? 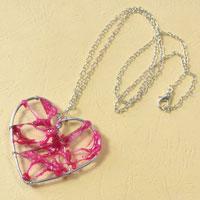 Here is a creative wire wrapped heart pendent necklace with hot pink glue covered. Have a nice check! Wanna try some crafts for kids? 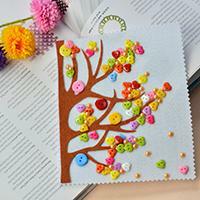 If yes, I believe today’s Pandahall tutorial on how to make colorful button trees for kids is a good choice for you. 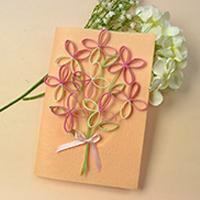 With basic quilling shape patterns, you can make a colorful balloon blessing card for mother's day as below. Do you want to try? Follow my steps now. Make a great craft project to help remind you of the impressive and engraved Mother’s Day. 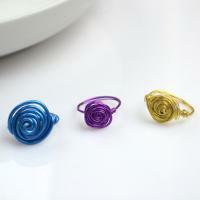 The wire bracelets diy items may be one most versatile and personalized jewelry for mothers. If you are planning on designing a unique jewelry for mom, I may recommend this project about how to diy dainty rings out of different gauges of wire only. It does actually look easy enough! 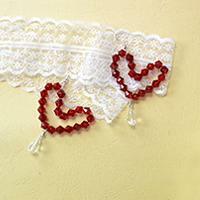 The tutorial of personalized mommy necklaces is going to show you how to create this sort of unique necklaces in hearts-linked garland pattern.